Home Remodeling 2016: from Roger Perron, Design-Build Contractor » Roger Perron Inc.
Several key economic indicators are predicting a major increase in home remodeling in the U.S. for 2016. The U.S. Census Bureau predicts homeowner projects to reach $155 billion by the third quarter. Backing this up is an analysis done by the Joint Center for Housing Studies at Harvard University. The Center releases a “LIRA” report each quarter, which is the “Leading Indicator of Remodeling Activity.” The LIRA analysis shows that home remodeling will accelerate from 4.3% in the first quarter of 2016 to 7.6% in the third quarter. As for the local Los Angeles market, the U.S. Consumer Financial Protection Bureau ranks L.A. as the top #1 spot for home remodeling. This is shown in the “Top 10” chart below. 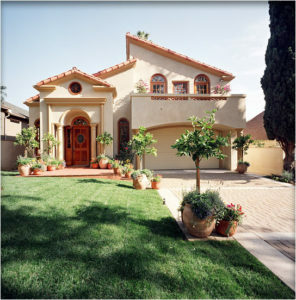 This home remodeling news is shared by Roger Perron Design and Construction, a leading Los Angeles design-build firm. A design-build firm is one that saves the homeowner time and money by having the design team (architects and interior designers) and the construction team (general contractor, electricians, carpenters, plumbers, etc.) all within the same company. Per the Design Build Institute of America, this approach gives homeowners the benefit of a 6% lower overall project cost and a 12% faster construction speed. For more information or to schedule a complimentary home design consultation with Roger Perron or his architect call (323) 664-7001 or visit http://www.RogerPerron.com.